I decided 2018 will be a ART filled year . A year to do more ART. A year to LEARN more , PRACTICE more and to have the COURAGE to play even if it means I don't like the end result in my art project . A Christmas gift from my family . A year of LIFE BOOK 2018 over at Willowing . The lesson I worked on was Make your mark journal page . I didn't like my first layers and it seemed like I was just making a mess. I told my self that's ok . Breath..... and start again .Instead of throwing out the page I took out my papers and re collaged over the top and re visited the PDF and video lessons to help guide me. I made a huge mug of tea and enjoyed the artful play time in my studio .I LOVE the end result . Another very nice piece of art. This is beautiful! I find that sometimes I will be really unhappy with what I am doing but if I can just keep going it will develop into something I am happy with. And layers are always a good thing! lol This is a gorgeous piece. So glad you kept going and shared it. 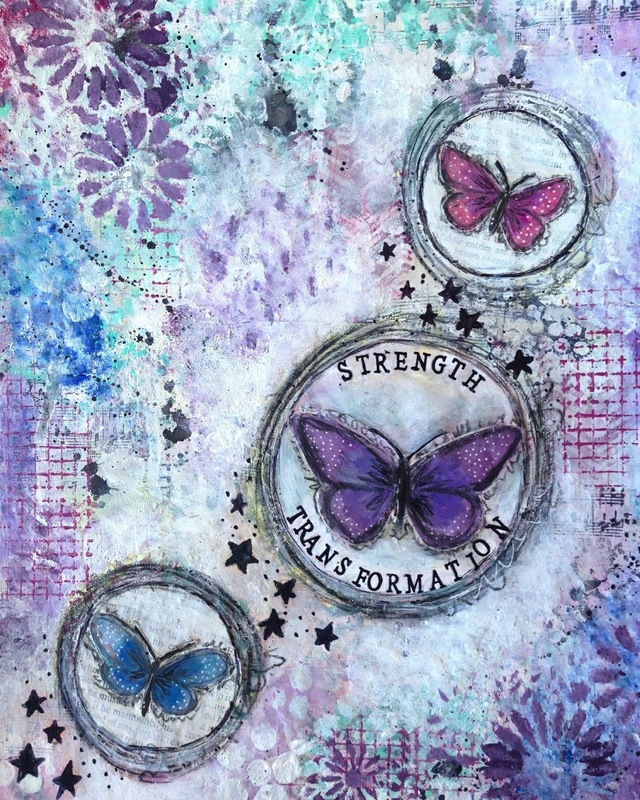 Love the butterflies and the "strength - transformation" words. Beautiful...just let go. I've heard when you hate one layer just keep going....keep layering and it will come together.